Notes: The following is a personal reflection and represents only my own views. This piece is also available as an audio recording via Ancient Faith Radio. This past Friday, I had the blessing along with other clergy of the Diocese of Charleston and Oakland and also the Diocese of Washington and New York to meet with His Eminence, Metropolitan Silouan (Moussi) of Argentina in Washington, DC. Sayidna Silouan’s purpose in calling this meeting, as well as many other similar meetings throughout North America, was to hear the voices of the clergy and faithful of the Antiochian Archdiocese of North America, to hear what they yearned for in their future, in the light of the transition that is now upon us, namely, that within a couple of months we will be in the care of a new Metropolitan. +Silouan’s role here in North America is Patriarchal Vicar, and he is essentially in charge of the archdiocese until a new Metropolitan is elected. He serves as the voice of the Patriarch of Antioch in our midst. The table where we met seemed to be mostly filled with listeners (which is a good thing in the clergy), but a few of us spoke when Metropolitan Silouan asked us directly to tell him what our hopes were. In his initial remarks on this, he said something that stuck with me: “Thinking according to the constitution is good, but thinking as the Church is better.” I’ll say more on that in a moment. The other clergy who spoke mainly talked of their desire for the unity of the archdiocese to be kept intact, that we should not be divided. And +Silouan mentioned that he had been seeing peace everywhere in the archdiocese, wherever he went, that no one had to tell us to be unified and at peace, but that we simply were. And I have noted that this theme seems to be repeated in a number of the conversations between Antiochians I have been privy to. I have also noticed in my more than 16 years of experience in the archdiocese that there really is a common identity, a brotherhood among us. It would be a shame for that to be harmed in any way. Some seem to believe that that unity would be harmed if, for instance, the archdiocese were divided into multiple metropolitan districts, “every bishop doing his own thing” in the words of one comment I read online. And that is typically contrasted with the system we have recently had, namely, a single ruling metropolitan with auxiliary bishops who served entirely at his blessing. The exact details of how bishops who sit together on a synod presided over by their metropolitan can all work together and remain united and still have authority emphasized on the primate can have lots of different sets of details to define them. (Examples: Are finances shared? Is authorization of ordinations centralized? Can each diocese have its own educational institutions? Can bishops found churches and monasteries on their own?) I don’t see why any conversation about these things has to devolve into only two iterations—1) a sovereign metropolitan with auxiliaries or 2) fully independent dioceses each headed by a bishop who owes no particular allegiance to the metropolitan. These things sit along a continuum with numerous points in between, and they can all contribute to the question of unity. This kind of thing seems to be on many people’s minds. But I have to admit that what comes to my mind when I think about the unity of the Antiochian Archdiocese and what came to my mind especially when Metropolitan Silouan asked us what we wanted for our future didn’t really have much to do with all these administrative details that are, to be honest, above my pay grade and not in my purview. I’m just a parish priest. I do not mean this as any slight to my brothers and sisters, but it seems to me that, while discussion about administrative details and rules (“thinking according to the constitution”) is important, there is something of greater importance that I hope will become more part of our conversations, especially as we head toward our special nominating convention on June 5. And what is that? It is our spiritual inheritance as Antiochian Orthodox Christians. We rightly often speak of Ss. Peter and Paul and Ignatius of Antioch, and I love those parts of our tradition. But there is actually a great wealth of spiritual riches that have been developing in the Antiochian Church recently, as well, and it is almost entirely unknown to Antiochians in America. To give but one example of this, one of the major developments of the 20th century in the patriarchate was the founding of the Orthodox Youth Movement. This movement was founded in the 1940s and was the instrument of an astonishing spiritual renewal over the decades that followed. It not only produced abbots, bishops and even patriarchs (Patriarch Ignatius IV was one of the founders of the movement), but it began church schools, founded and revitalized monasteries, emphasized personal holiness and asceticism, and rapidly expanded theological education throughout the patriarchate. It was a powerful and thoroughgoing reform movement that radically reshaped a church that, sad to say, had been moribund with nominalism for quite some time. The results of the Orthodox Youth Movement, which celebrated its 70th anniversary in 2012, are a vital and spiritually rich Antiochian church in the Middle East, a church which even now is showing its spiritual strength as it endures crucifixion anew. Thanks in large part to the movement, there are now monasteries where there were none. There are charitable programs where there were none. There is theological education. There are holy elders. There are not just old monasteries that were previously on the brink of abandonment and are now filled with monastics, but there are even new monasteries. And most Antiochians on this continent have no idea about any of this. Much of it, I only learned about recently myself. So what did I say to Metropolitan Silouan when he asked us what our hopes were? My hope for the future of the Antiochian Archdiocese of North America is that we can receive some of these great spiritual riches. Why is it that an Orthodox Christian in America can easily access the 20th century holiness of Elder Paisios, Elder Sophrony, St. Silouan, St. Porphyrios, St. John of Kronstadt, Elder Cleopa, etc., and not feel that they are becoming Hellenized, Russified, Romanianized, etc.? These holy people are naturally attractive to us, because they are saints, and their holiness transcends cultural barriers. But why are we almost entirely ignorant of the immense spiritual power of Orthodox Christianity in the Middle East? There are probably a lot of answers to that question. One of them is that not much is getting translated from Arabic to English. We are blessed to have the Notes on Arab Orthodoxy weblog to help us connect to that great spiritual wealth, and its author has recently contributed to a new volume to help us connect with some of that historical inheritance, too: The Orthodox Church in the Arab World 700-1700: An Anthology of Sources (a wonderful book I recently got a copy of, by the way). But there needs to be more of that kind of thing—a lot more. There is a beautiful, vast treasure trove of Antiochian spirituality that most Orthodox Christians in America—even Antiochians—are mostly unaware of. One of the things that has struck me profoundly during the past several weeks since our father Metropolitan Philip reposed in the Lord is how immediately and how refreshingly our patriarchate has become involved with us. I am not part of the “administration,” but I have not felt for one moment that we were “under” some “foreign bishops” during this process (something one often hears within Orthodoxy in America). Rather, my feeling has been that we are being attended to as family by family, that we are being loved by spiritual fathers who really care what happens to us. All this brings us to the question of what this attention from the patriarchate might mean. It certainly has not seemed to me to be overbearing in any way. Some have suggested that it means that the patriarchate wants to draw us closer to itself so that there may be more solidarity between us. Some fear that this may mean “Arabization” (for whatever that might mean). Some fear that this may put administrative unity in Orthodoxy in America in some jeopardy, i.e., if the American Antiochians become more Antiochian, they will be less American. I cannot answer all of those fears, because I do not know what the future holds. But I will give one example to address one of them. For some folks, “Arabization” might mean a new emphasis on the Arabic language in worship. That would of course be a tall order, since roughly 3/4 of our clergy are converts and most converts have no knowledge of Arabic. But I do not think it would be ordered at all, to be honest. We have a patriarchate that has parishes in Turkey, just over the border from Syria, that worship in Turkish—not Arabic. We also have a patriarch who, when he was assisting with parishes in Europe, insisted on taking an intensive English language course so that he could both liturgize and preach in English before he visited any parishes in the United Kingdom. What I would like to see is a new infusion of the spirit of Antioch, a new and increasing access to these spiritual riches—Middle Eastern saints and elders, monasticism, vigorous and traditional Byzantine music education, mutual visits, etc. In short, we are a family that needs to become closer. I don’t pretend to know exactly what he intended that to mean, but one interpretation that occurs to me is that +Philip fought many wars and was a victorious warrior. And the next Metropolitan now has an opportunity to take us to another level, a place where the spiritual depth of Antioch is brought to us in even greater power. So what does all this mean for our fellow Orthodox Christians here in America who may wonder if the Antiochians might become too preoccupied with being Antiochian to be as concerned with administrative unity? 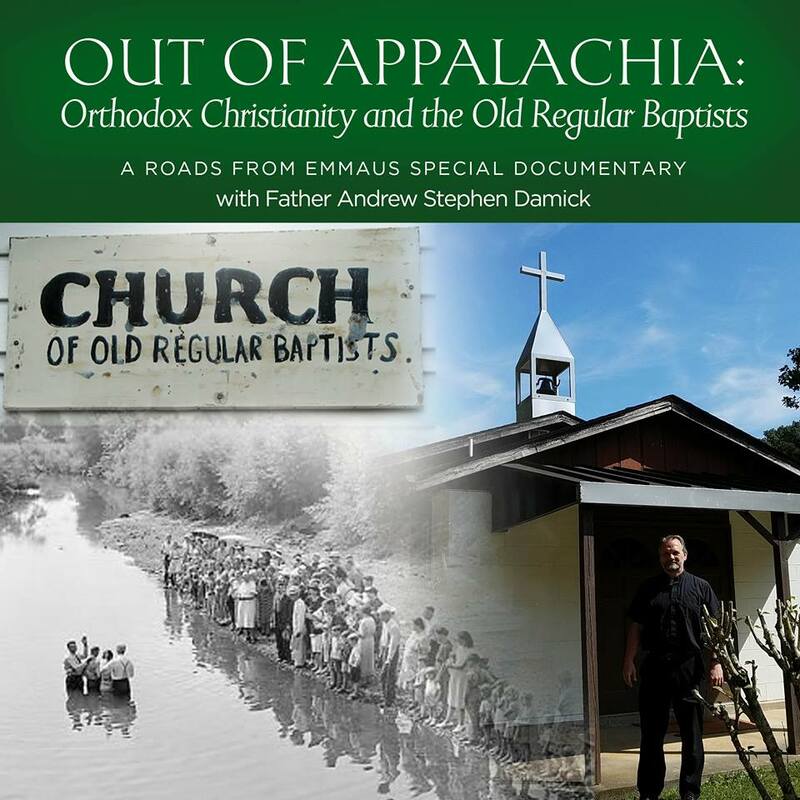 Just as all the other Orthodox traditions in America each have their own contribution to make to the Orthodox Church here, the Antiochians do, as well. And we should bring our very best to the table. Frankly, there is a lot in our own tradition that we haven’t accessed yet. And I want it for myself and for my own children. And it’s not out of any ethnic sentiment on my part that I want it—I’m Lithuanian (though I barely know what that means). I want this stuff because it’s a whole world of holiness to explore. The more authentically Orthodox Christian we become, the more united we will be. The root of all division is sin. And the basis for all true brotherhood in Christ is holiness. It’s really pretty simple. So if each of us adheres more closely to what is best within each of our traditions (without ignoring other traditions, of course), then we will become one. Administrative issues are really secondary to the question of spiritual renewal, and if there is authentic spiritual renewal, the administrative issues will work themselves out a lot more easily. Whatever might happen with the election of a Metropolitan or even questions of how we are to be administered, may it open up new channels for the abundant streams of grace from the Antiochian tradition to flow to us here in North America. Thank you, Father. This is a sober and thoughtful reflection. I hope it is the mindset of many throughout the Archdiocese. It is exciting to see what God will have in store for us. Father, I lived in the U.K. during the days of “Pilgrimage to Orthodoxy”and the first 12 years of the Antiochian Deanery in Great Britain. We related to the “Mother Church” in Damascus via those they sent to help establish and build parishes. This included the now Patriarch John. Never were we asked to learn Arabic nor we were asked to sing Byzantine music. The teaching focused on an Orthodox understanding of Scripture and worship. They were and are good loving Christian parents. Did not realize Met. Philip had passed beyond the Veil. May the Antiochian Jurisdiction choose wisely his successor. I see you have His Eminence, Metropolitan Silouan (Moussi) of Argentina is here in North America as Patriarchal Vicar, and he is essentially in charge of the archdiocese until a new Metropolitan is elected. Think of that, an Argentinian mini-pope, you should consider him for the new Metropolitan. Just as a point of clarification: +Silouan serves in Argentina, though he was born in Venezuela to a Syrian-Lebanese family. Thank you for a well-thought, sobering, and grounded article during this time of anxiety about the future. Christ is Risen!